Your wedding is one of the most important milestones in your life. Everything must be perfect for this day. We do understand this and so we come up with this comprehensive list to help you to choose the best theme for your special day. All these themes share the same premium quality, feel, and functionality. These 7+ Stunning WordPress Wedding, Events Planning & Marriage Themes have everything to make memorable wedding website to show to your friends and family. 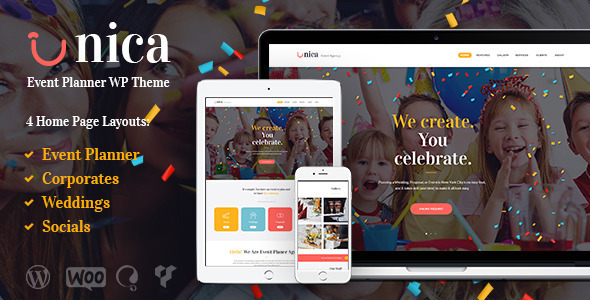 Unica is an Event Planning Agency WordPress theme with a festive and elegant design made for any professional event management website that can be easily customized by every user. 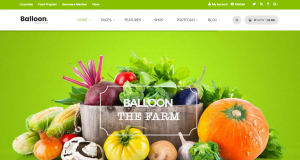 The theme includes four home page layouts including corporate events, weddings, and socials, allowing you to give all the necessary information about any kind of event you are arranging. Unica is interesting for professional decorators, banquet managers or event planners, both individual and agencies. It is perfectly suitable for wedding planners, planners of special occasions and special moments like birthdays, anniversaries, engagement parties or any other events. 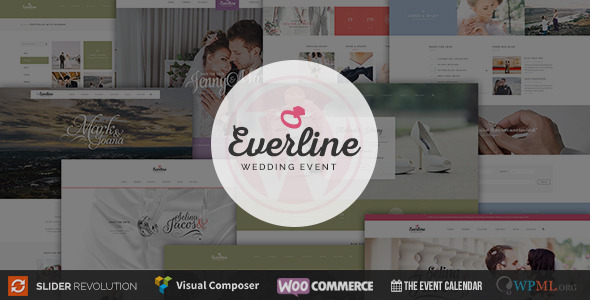 Everline Wedding WordPress Theme, coming with elegant and modest appearance, will be a meaningful WordPress theme for Wedding, Engagement, and other event purposes. Its stunning beauty, fashionable, clean look, and proper execution, accompanying with making use of Visual Composer, WooCommerce, WPML, The Events Calendar and Revolution Slider plugin, will help you to own an awesome wedding site for your happiest day. Everline supports RTL and It will adapt automatically to the screen size of the device and display all the content in an intuitive and simple way. 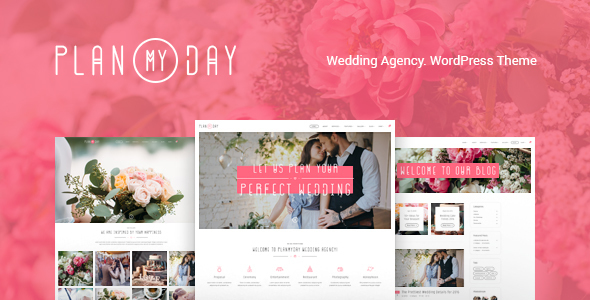 Plan My Day is an elegant 100% responsive Wedding, Event Planning Agency WordPress Theme with a fashionable and tender look. It’s designed for a Wedding planning agency, an individual wedding planner, or any event planning company (birthdays, anniversaries, corporates, conferences, banquets). 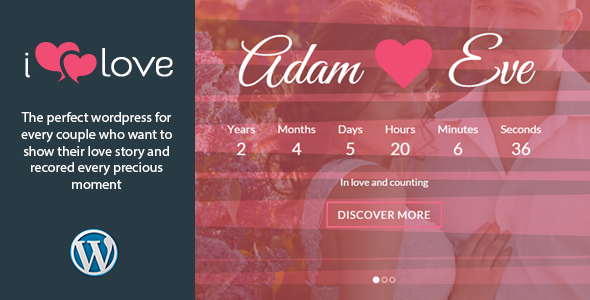 Plan My Day is compatible with such plugins: Revolution Slider, Essential Grid, PO Composer, Visual Composer, to make it easy for you to setup a wedding planner website. 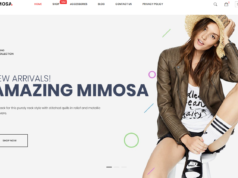 Also, if you want to sell things via your website, the theme is compatible with WooCommerce plugin. 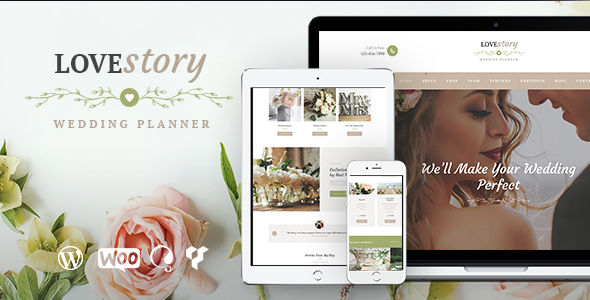 Love Story is a responsive Wedding & Event Planner WordPress theme with a tender, amazing eye catching look. Love Story is designed for a wedding planning agency, wedding planner, or any event planning company. 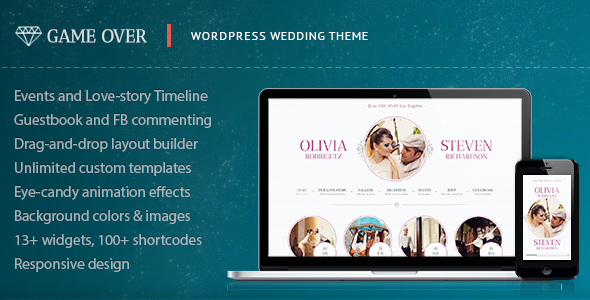 It is compatible with: Revolution Slider, Essential Grid, PO Composer, Visual Composer, to make it easy for you to setup a wedding planner website. Game Over is an Awesome and Romantic Wedding Event Planning theme with a powerful drag-and-drop layout builder intended for couples that are looking for engagement or wedding planning theme or an online invitation card. 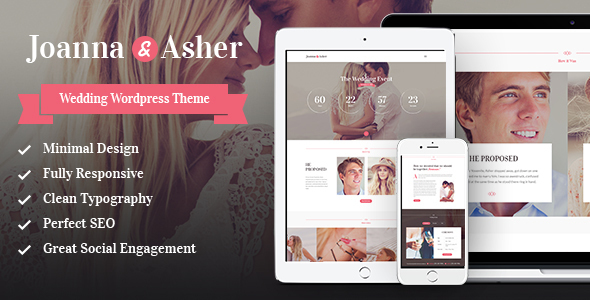 LUV is a nice and responsive one page Wedding Event WordPress theme designed for wedding, engagement or other events purpose. 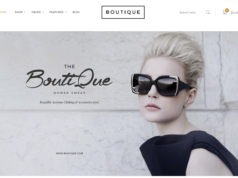 It comes with a simple yet elegant parallax design. Running with fully powered theme options by PlutonThemes, and very nice page builder that allows you to control every content that you want to show on every page. 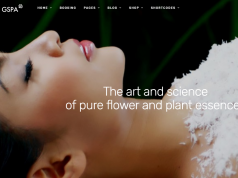 LUV is developed by Redux Framework which is a well-known framework on ThemeForest and top hot trend plugins such as Visual Composer for building layouts from the frontend. 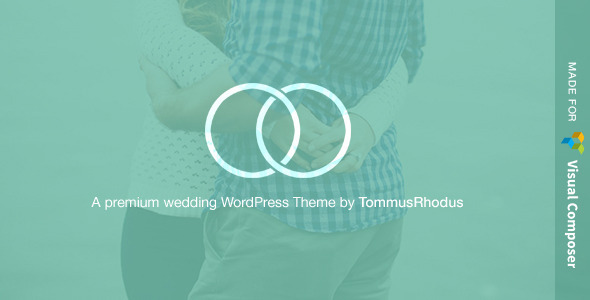 Wedding Event is a responsive WordPress Theme with a fashionable clean look. It is designed for any Wedding or Engagement event and helps you to give all the information to wedding guests or make an Invitation for your marriage party. Wedding Event fits for Couple Parties, special occasions and moments or any wedding solution that include guest lists, invitations, wedding and ceremony planner. Union is a tastefully styled Wedding & Event theme packed with handy features. With multiple options available for each beautiful section, you will find the perfect fit for your big day. Union’s RSVP forms include style elements for your guests to personalize their RSVP with meal options, song requests or anything you need – all delivered to you in an email using Contact Form 7. Visual Composer Page Builder makes it easier than ever to assemble, edit and bring your ideal responsive wedding website to life in minutes, not hours. 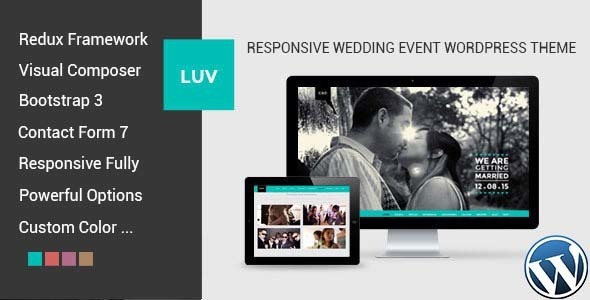 ilove – Responsive Wedding Event WordPress Theme for the wedding, engagement or other events purpose. 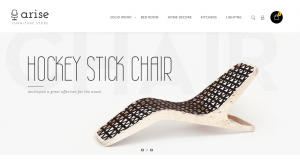 It comes with a simple yet elegant parallax design. Running with fully powered theme options by PlutonThemes, and very nice page builder that allows you to control every content that you want to show on each page.